Steve Perry and Andy Nisbet. Tributes have flooded in for two well-known climbers who died after a fall on Scotland’s most northerly Munro mountain. A rescue operated was launched on Tuesday afternoon after Andy Nisbet, 65, and Steve Perry, 47, fell on Ben Hope in Sutherland. Their bodies were recovered on Wednesday afternoon. Aberdeen-born Mr Nisbet, who lived in Boat of Garten in Strathspey, was described as being a pioneer “synonymous with Scottish winter climbing”, with over 1000 new routes to his name. He was a former Scottish Mountaineering Club president and received the Scottish Award for Excellence in Mountain Culture in 2014. His expertise in the Scottish winter led to him authoring and editing multiple guidebooks alongside a career in climbing instruction and guiding. Former RAF Mountain Rescue Team leader David Whalley described him as ‘the most active prolific mountaineer that Scotland has ever produced’. Steve Perry, originally from Lancaster but most recently living in a gate lodge at Dalcross Castle, between Culloden and Croy, was also a passionate mountaineer with many new ascents to his credit. UK Climbing, on their website, said: “In recent years he and Andy had established a strong new routeing partnership. “They were driving forces in the late development of Ben Hope, a mountain largely neglected until recent seasons. 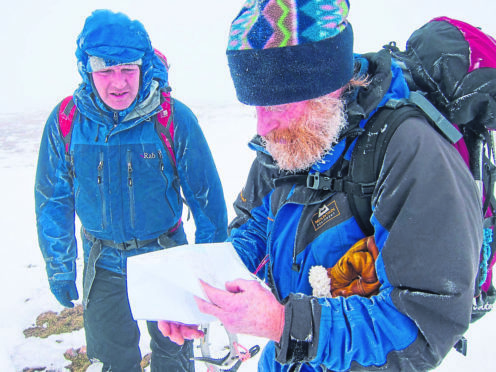 David Whalley, a former RAF mountain rescue team leader, said: “I knew right away that it could be a pal, Andy Nisbet, and his climbing partner, Steve Perry. “I knew Andy very well. He was roughly the same age as me, but what an incredible mountaineer in every aspect. “He was the most active prolific mountaineer that Scotland has ever produced. I lost a good pal who was a huge icon in Scottish Mountaineering. Many will miss that wild beard frozen up. His enthusiasm was dynamic. “At one time he was the youngest to complete the Munro’s, at that time at 19 years old. In a tweet, mountaineer and broadcaster Cameron McNeish said: “Utterly devastated at the news of the loss of Andy Nisbet and Steve Perry on Ben Hope. Mr Perry’s brother Lewy posted a message on Facebook in which he said: “The worst day of my life today. Lost my very best friend, my big brother and my role model. A spokesperson for Assynt MRT said: “Over 5 and 6 Feb team members were involved in a search and recovery of two persons on Ben Hope. “Extremely welcome support from Dundonnell MRT and Lossiemouth MRT. And huge thanks to Police Scotland and both Stornoway And Dalcross based Coastguard helicopters for their outstanding support over the two days.